My only regret is that I didn't have room to repeat this slice because it was soooo good. Blondie is a big proponent of strawberry pies in general and went she started tweeting about wanting to make one a couple of weeks ago, I naturally started craving one, too! 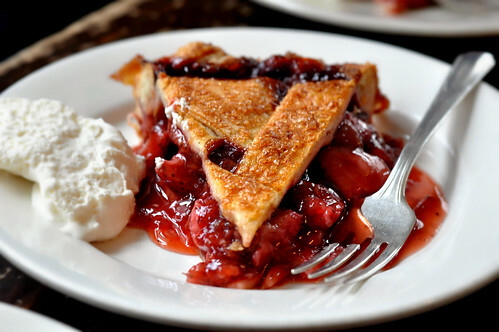 Strawberry pies can easily venture into cloyingly sweet territory. Not the case with the pies from Four & Twenty. As always the crust is flakey, buttery perfection and the filling with bursting with juicy, strawberry goodness. This pie is a delicious reminder that spring is finally here! I'm looking forward to making a return visit for seconds.